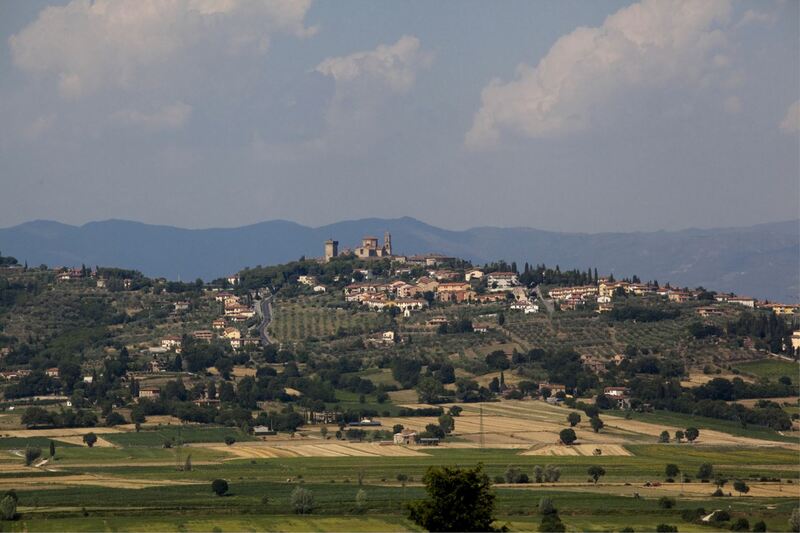 On the green hills around Siena. 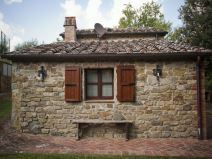 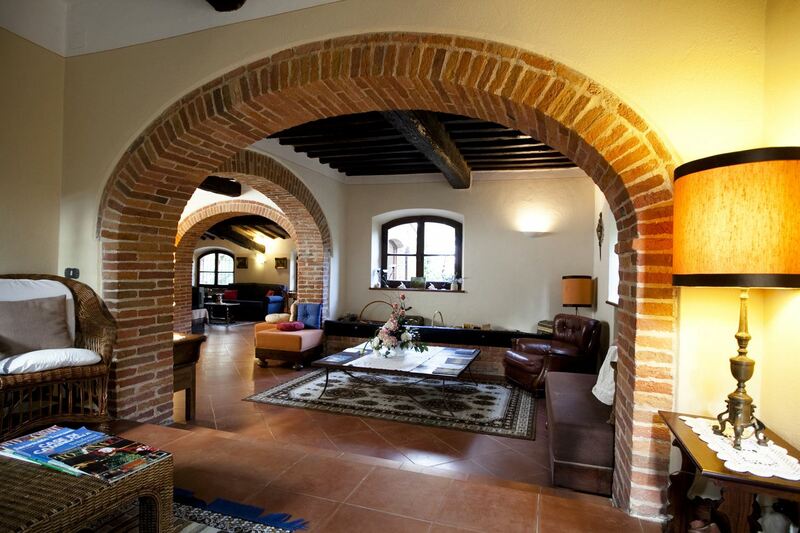 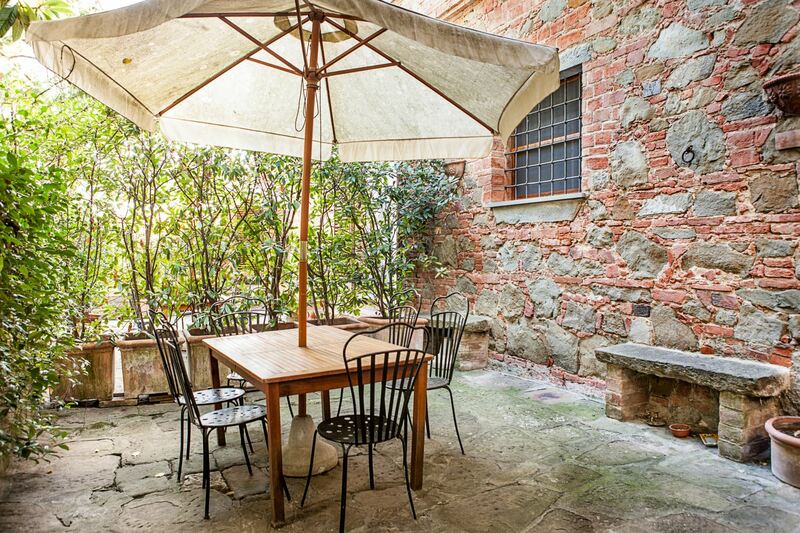 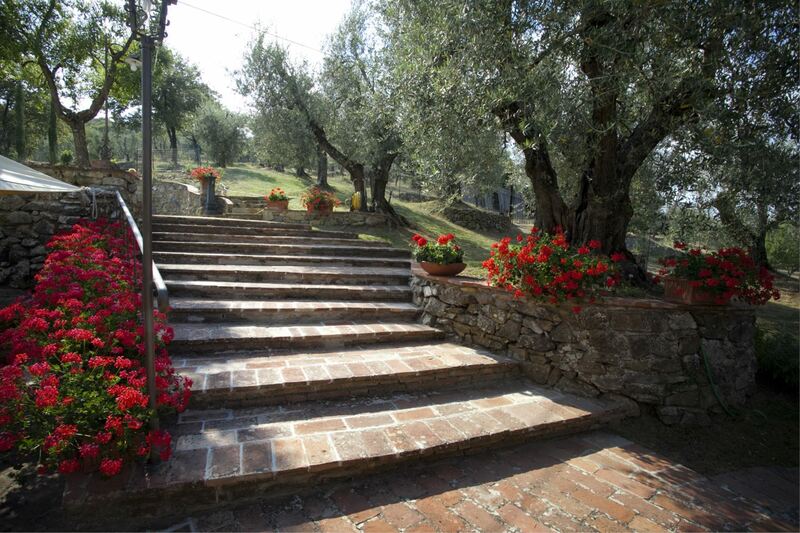 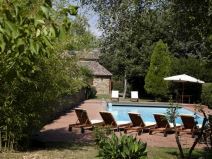 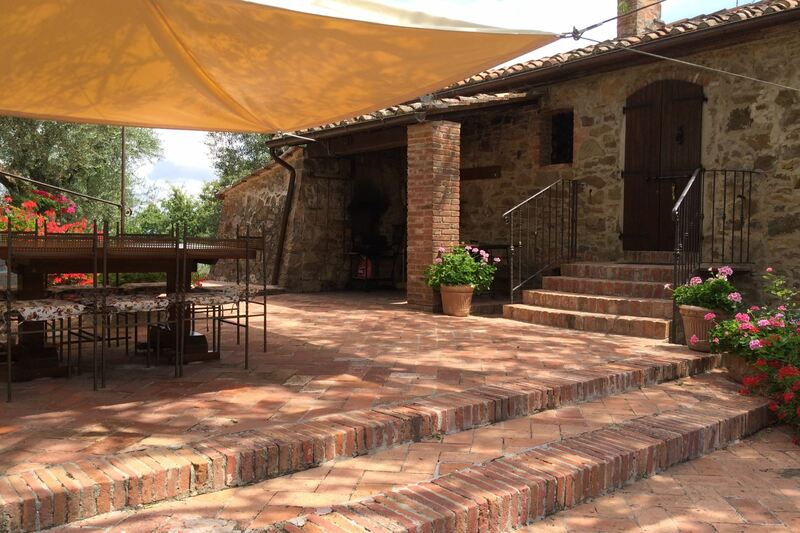 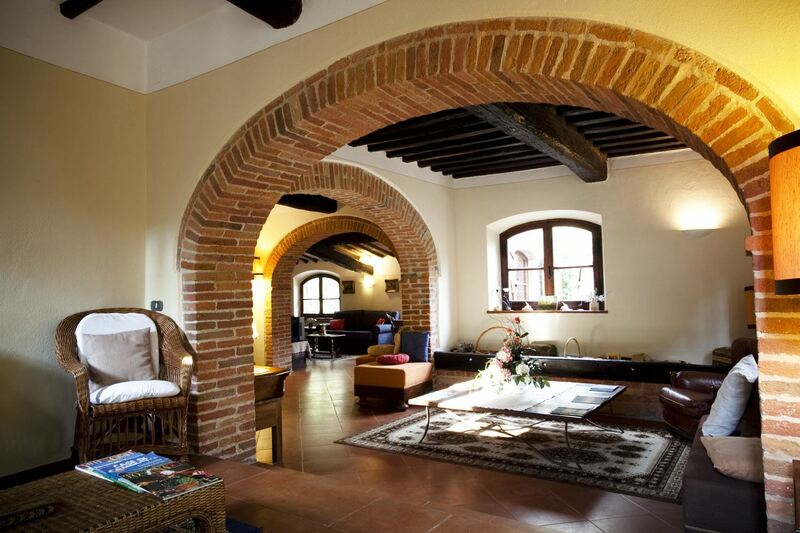 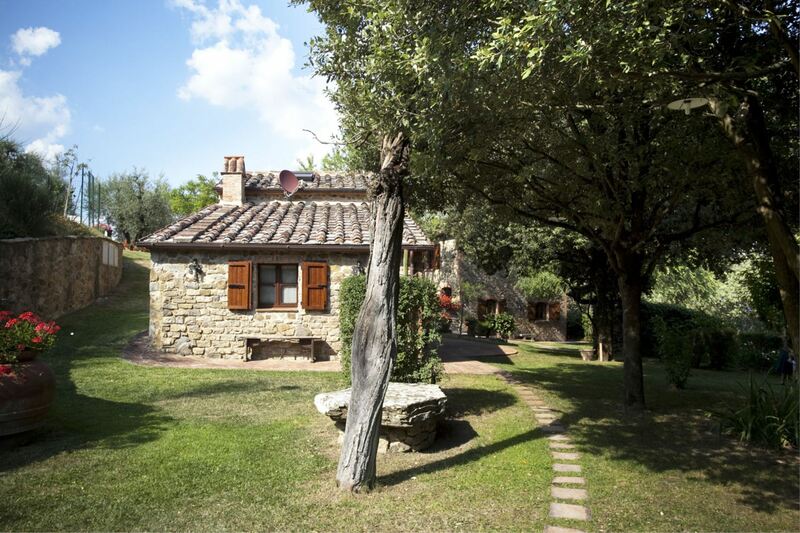 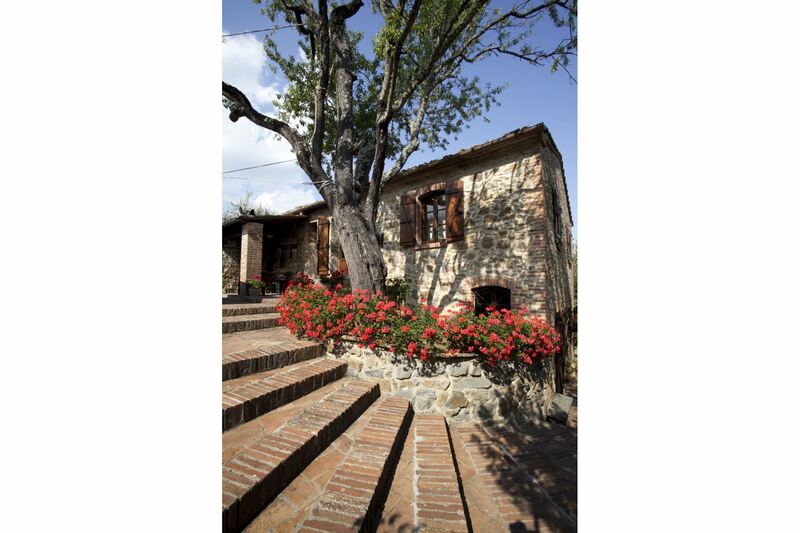 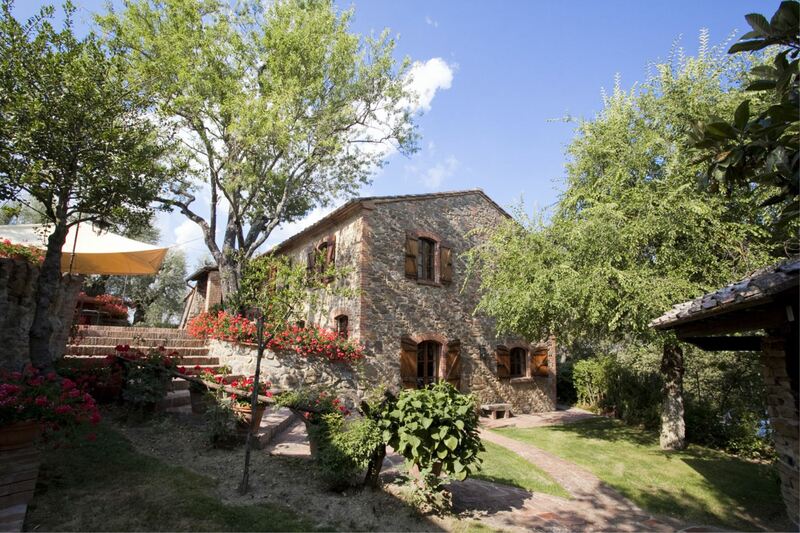 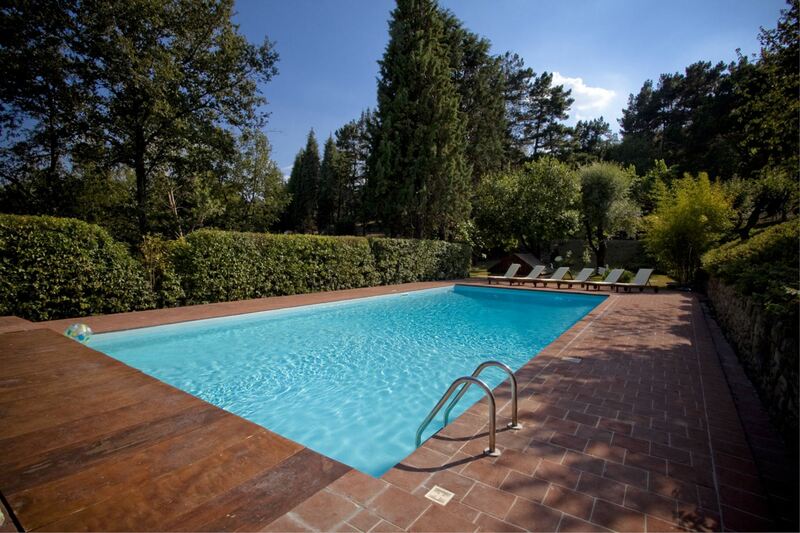 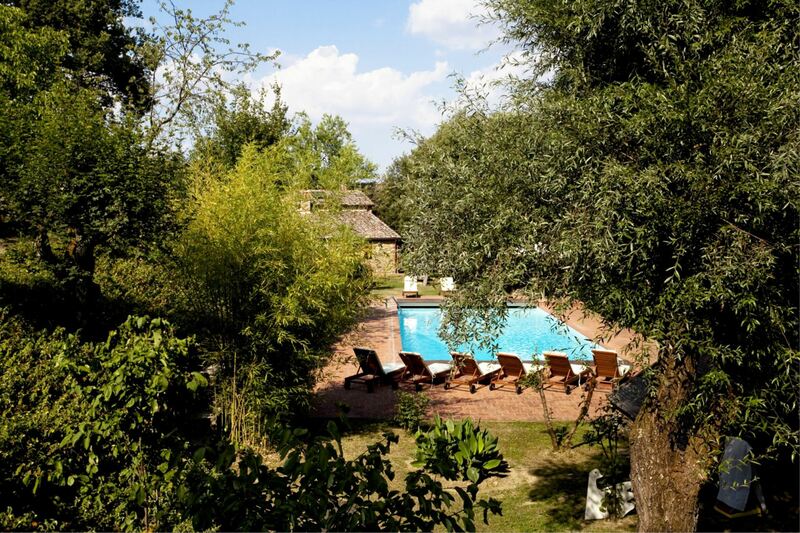 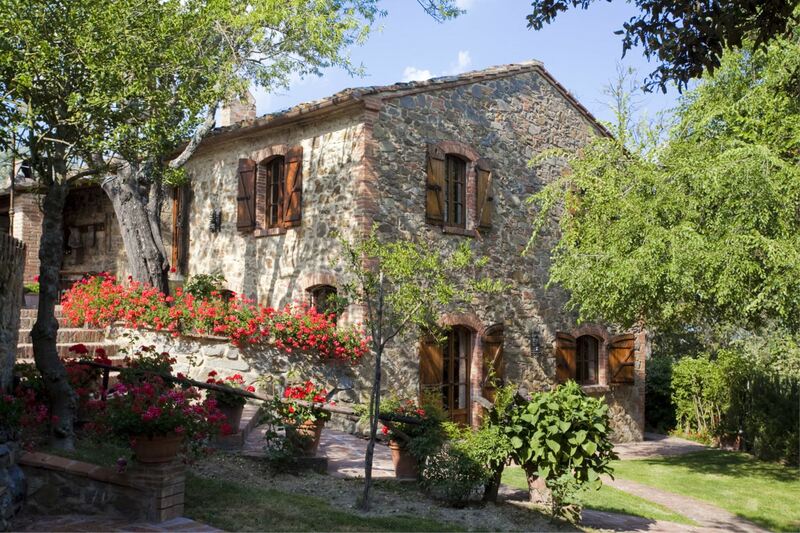 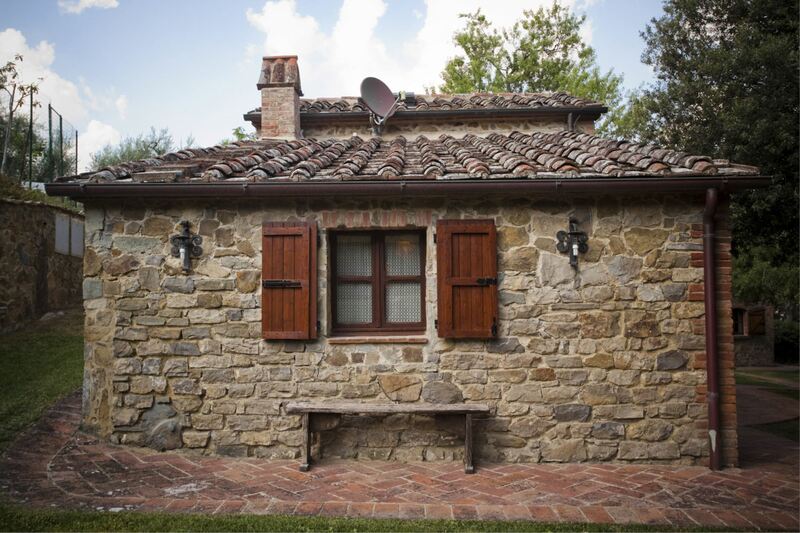 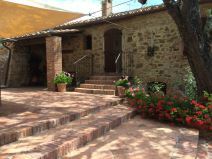 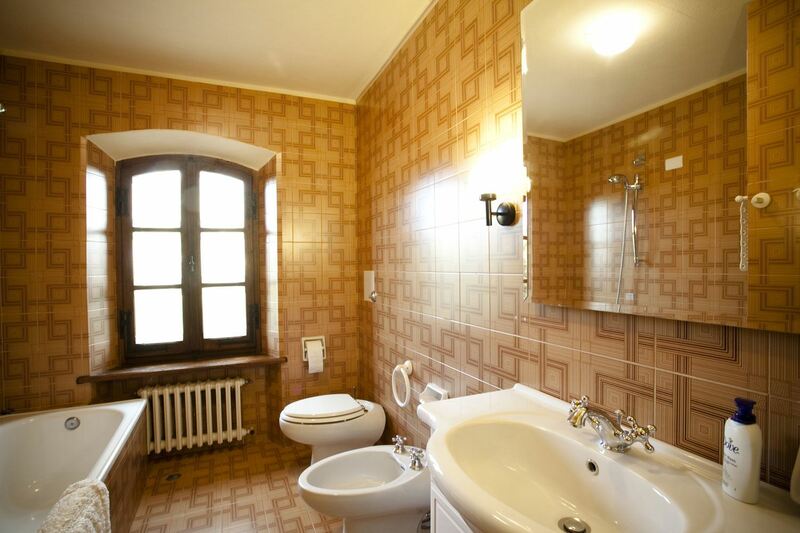 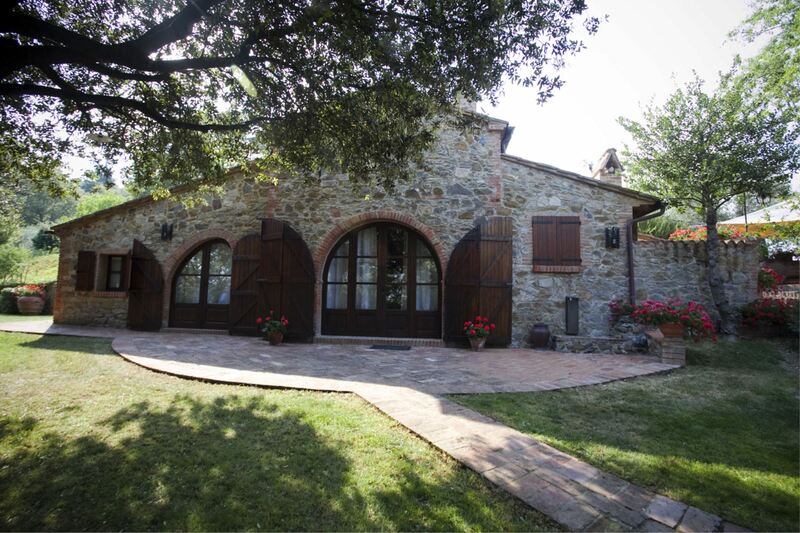 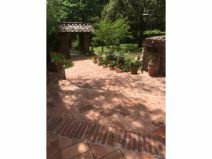 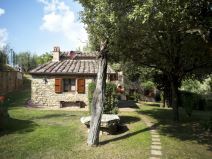 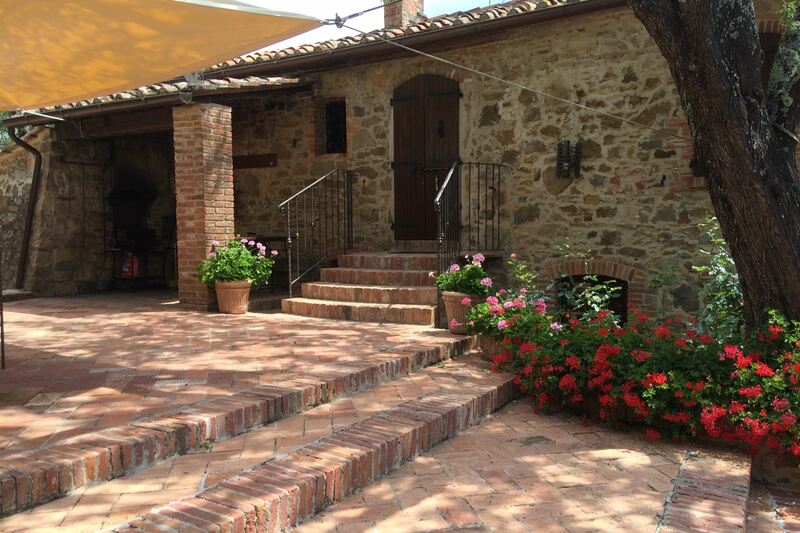 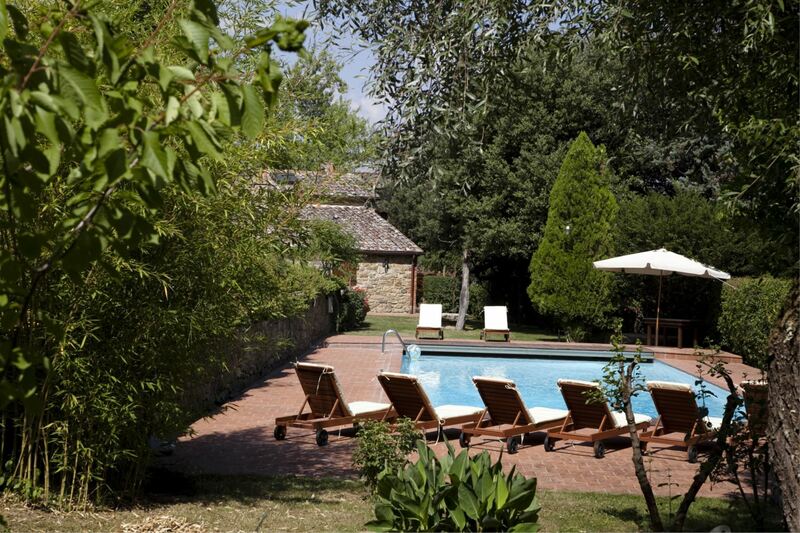 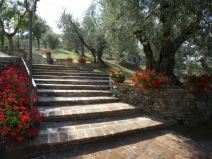 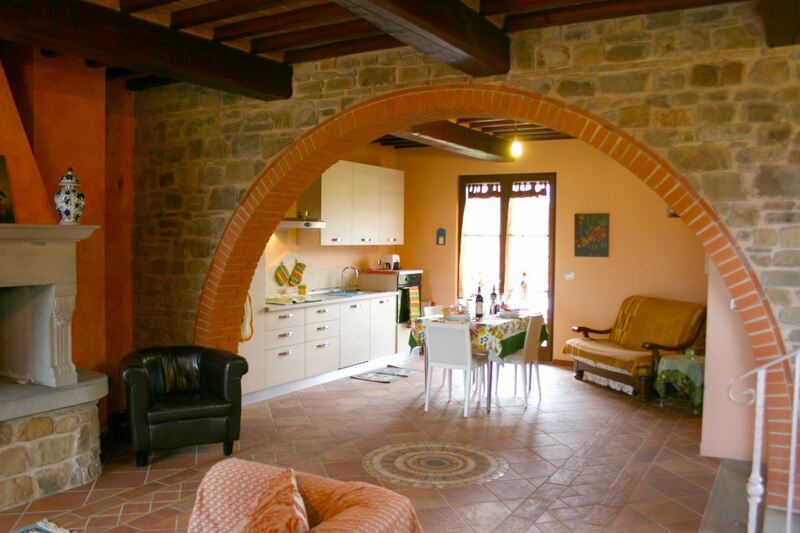 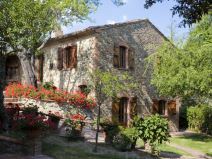 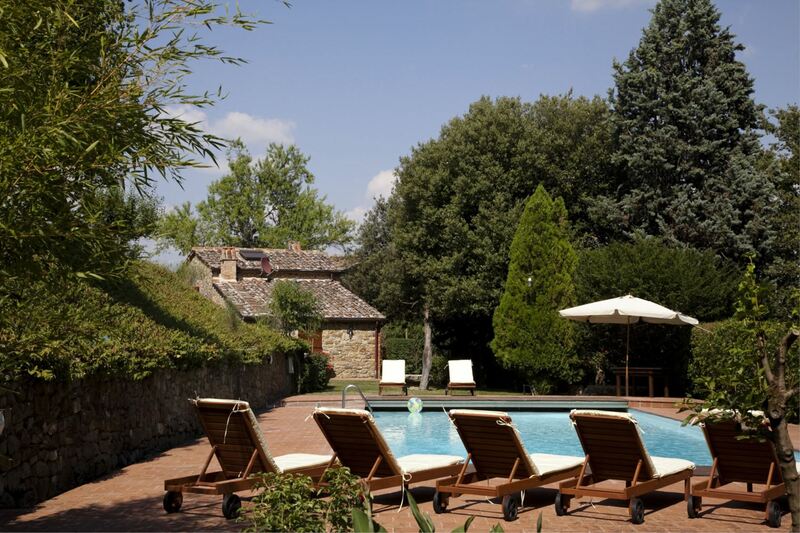 Beautiful and characteristic villa made of stone and bricks and completely restored to be a welcoming holiday home, situated on the green hills of the Siena countryside, 6 km far from the village of Sinalunga endowed with every kind of shops and services. 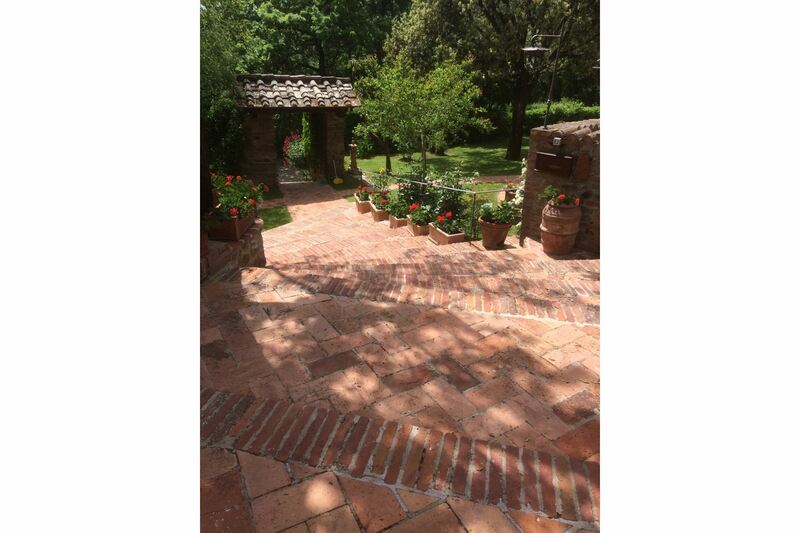 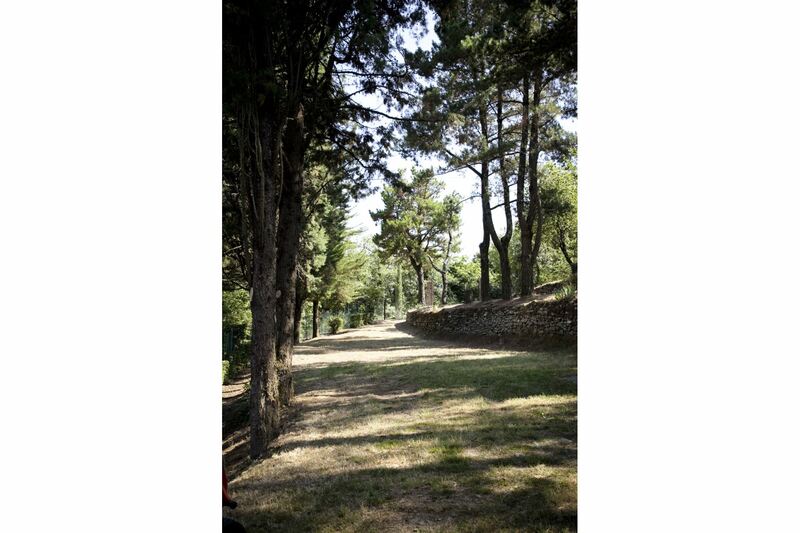 The property expands all around the house for 5 hectares of land completely fenced and full of olive groves, fruit trees, vineyards and green woods, ideal place to have long and reinvigorating walks. 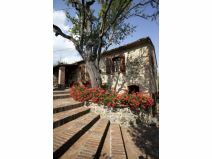 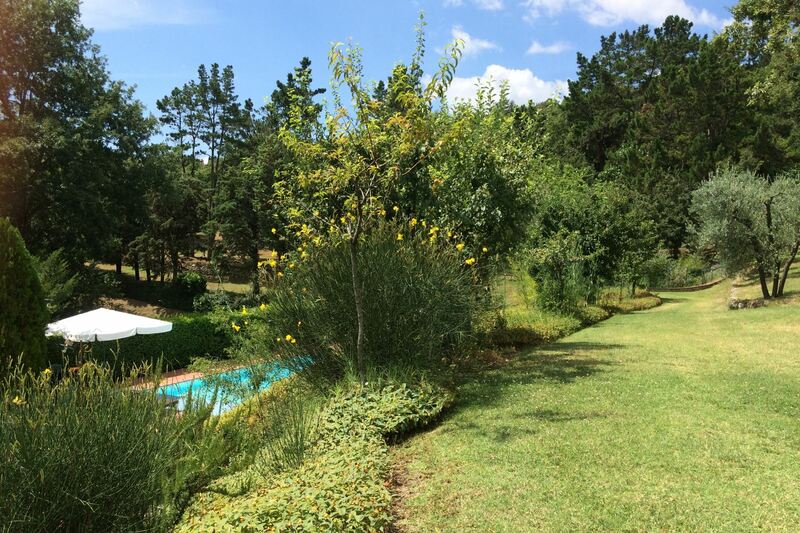 The house is secluded and protected by a grove which guarantees privacy and tranquility. 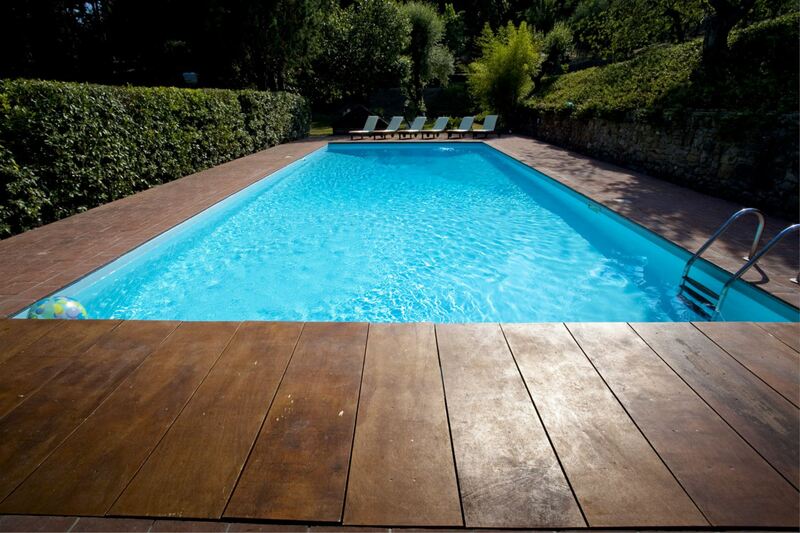 The beautiful pool, the interiors and the large equipment. 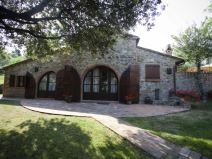 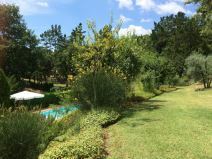 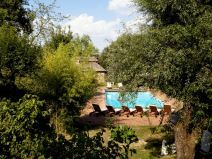 At guests disposal (exclusive use) the beautiful swimming pool (size m. 7,5x16, depth m. 1,20-2,50), Internet access, telephone, wood burning oven, laundry room with washing machine, sink and tumble dryer. 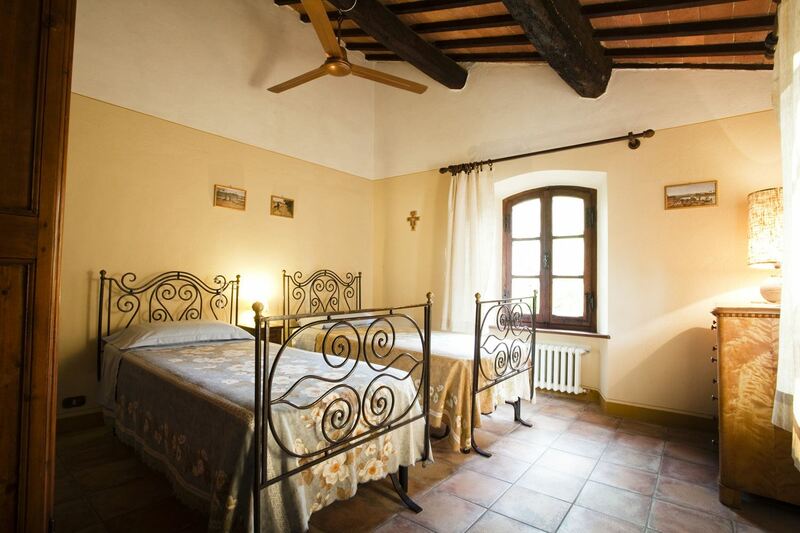 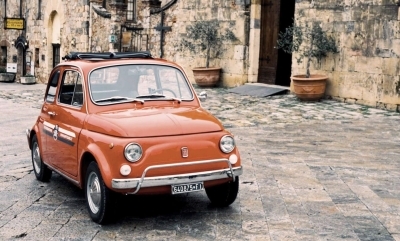 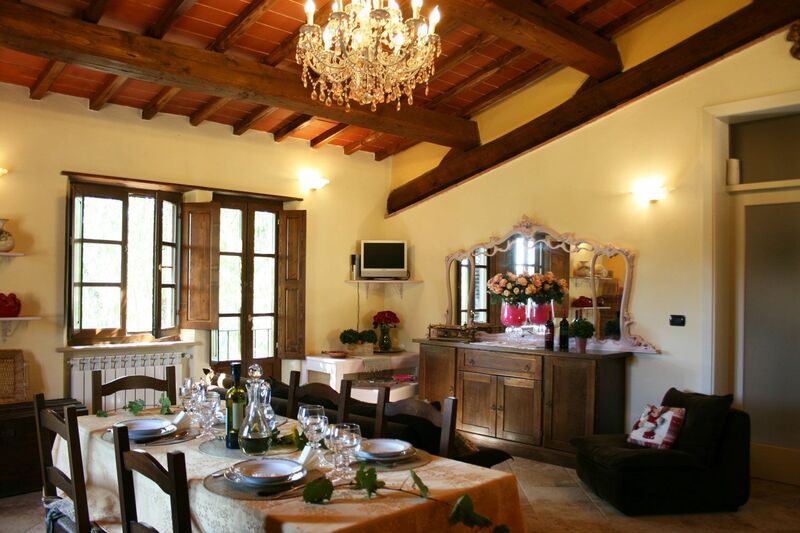 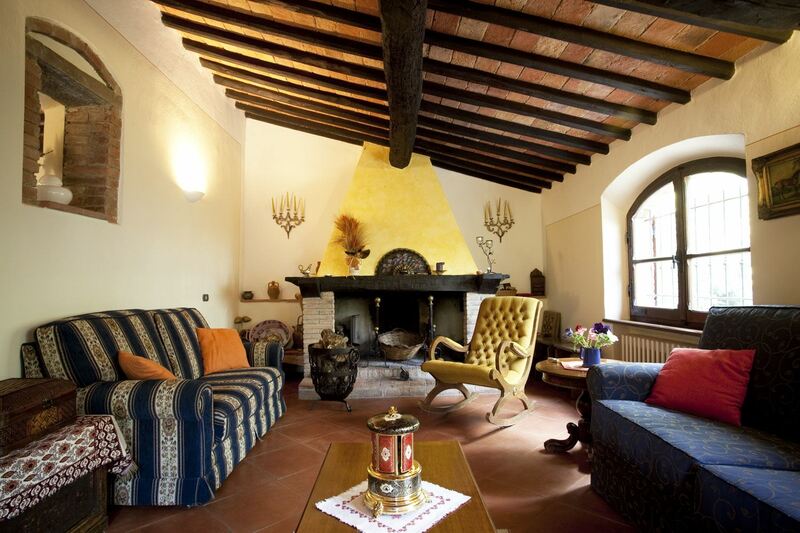 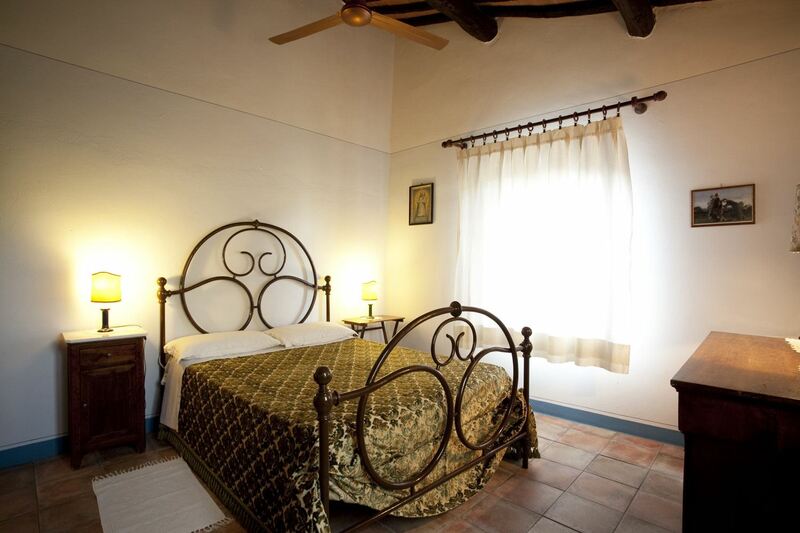 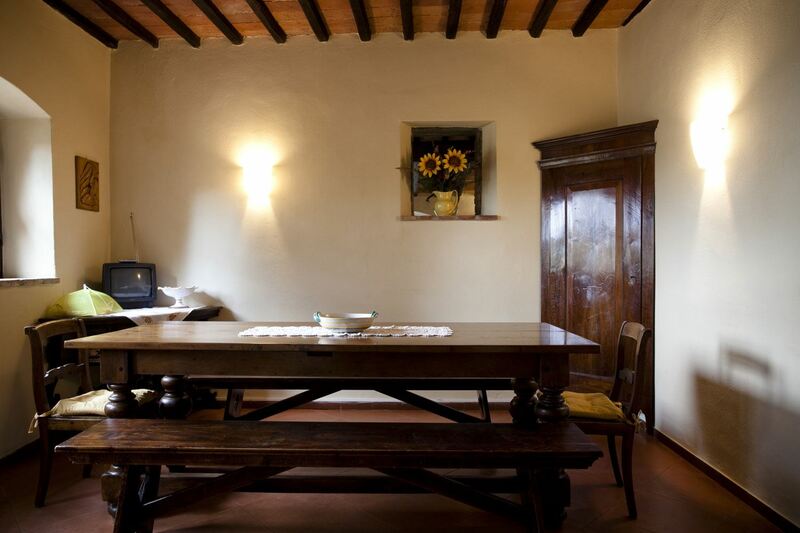 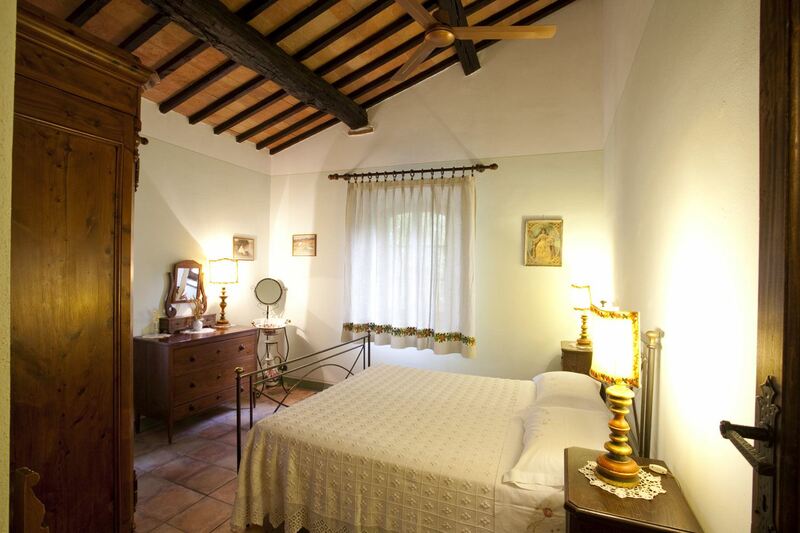 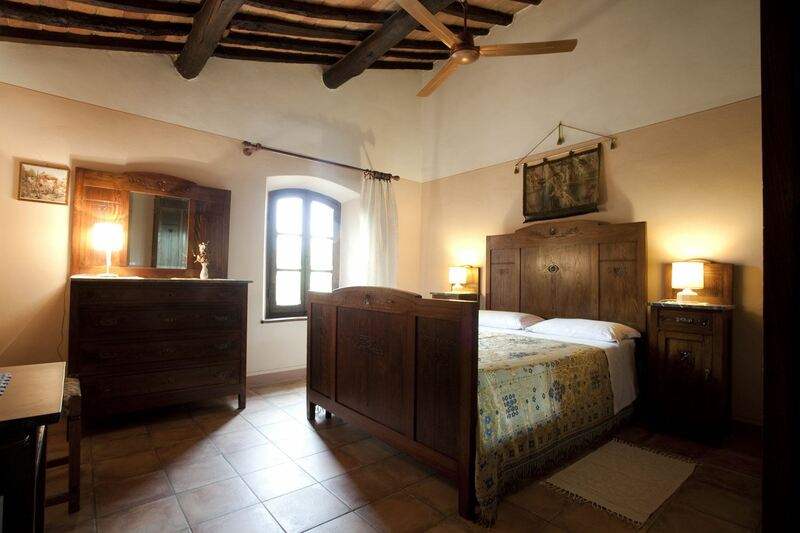 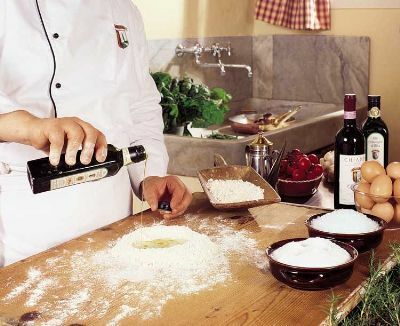 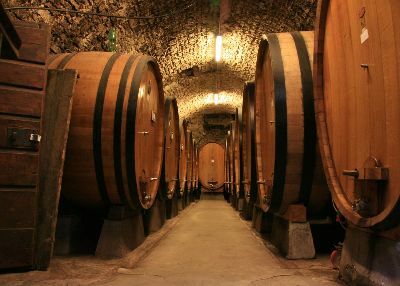 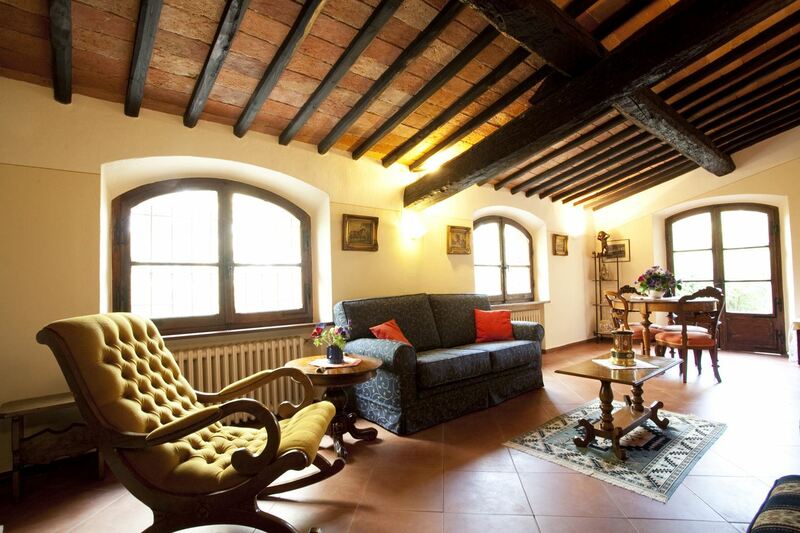 Villa il Meleto is endowed with a comfortable and valuable furnishing, rustic pieces and antiques which fit in perfectly with its features such as the original wooden beams and the terracotta floors. 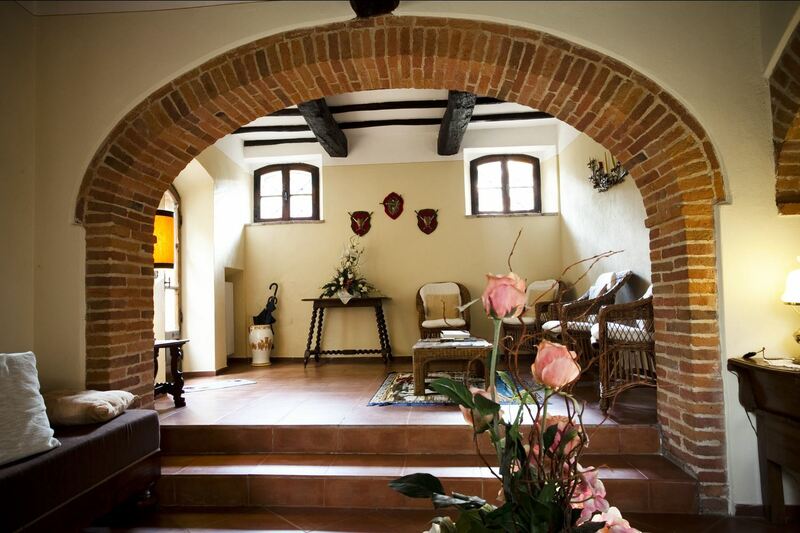 On arrival the guests will find a welcoming present. 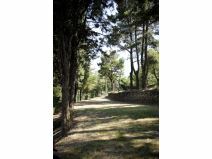 Access to the house through 900 m. of unmade road. 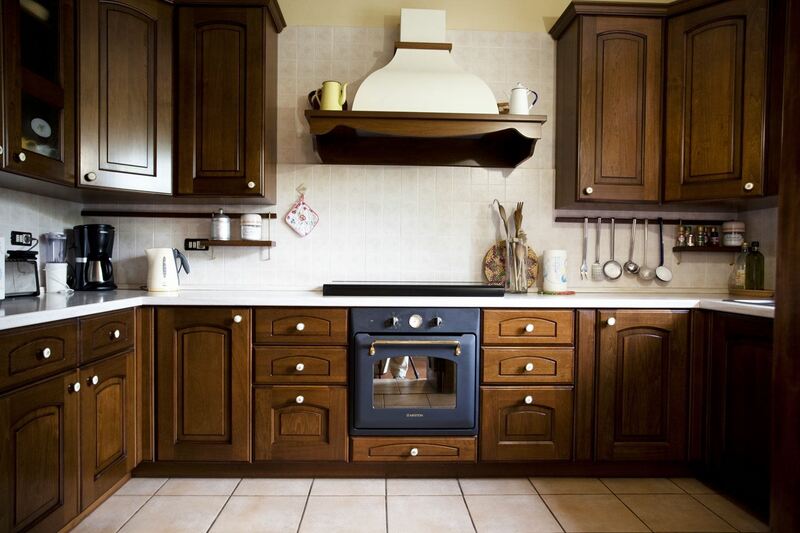 A few meters far there is a small dependence occasionally used by the owner. 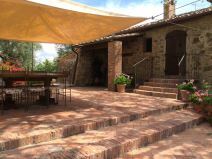 In the garden, well-kept and enriched with colorful flowers, there are table, chairs and a sun umbrella ideal to eat outdoor. 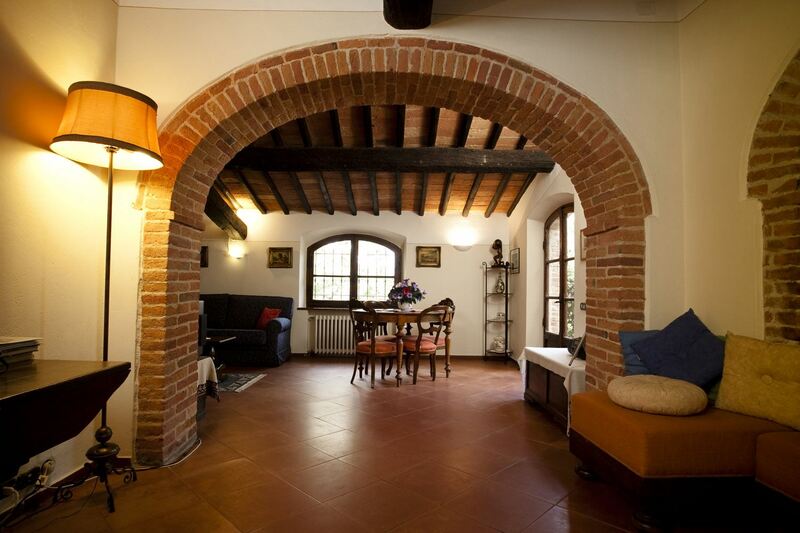 GROUND FLOOR: wide living room with fireplace, dining room, kitchen, bathroom with bath. 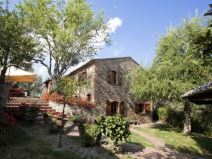 FIRST FLOOR: with access either from external or internal staircase, there are three double bedrooms, twin bedroom, two bathrooms with bath. 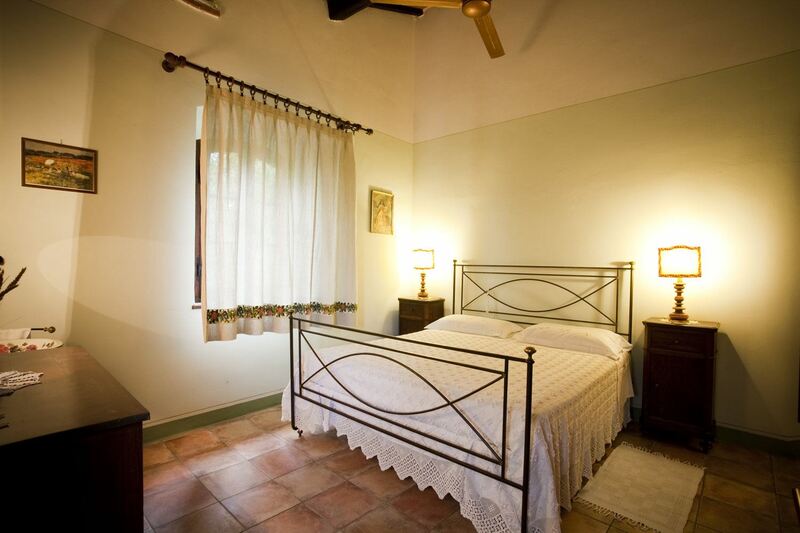 The bedrooms are endowed with ceiling fans with multiple speeds. 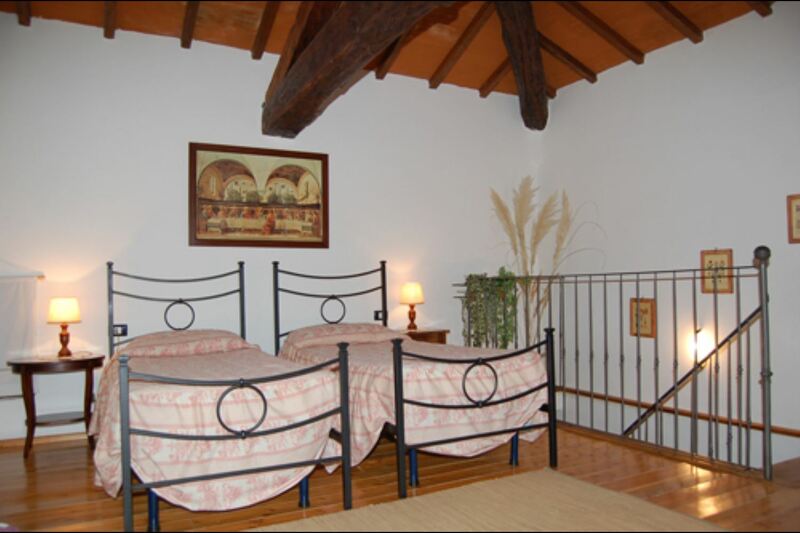 Possibility to add two single beds in the living room or in the bedrooms. 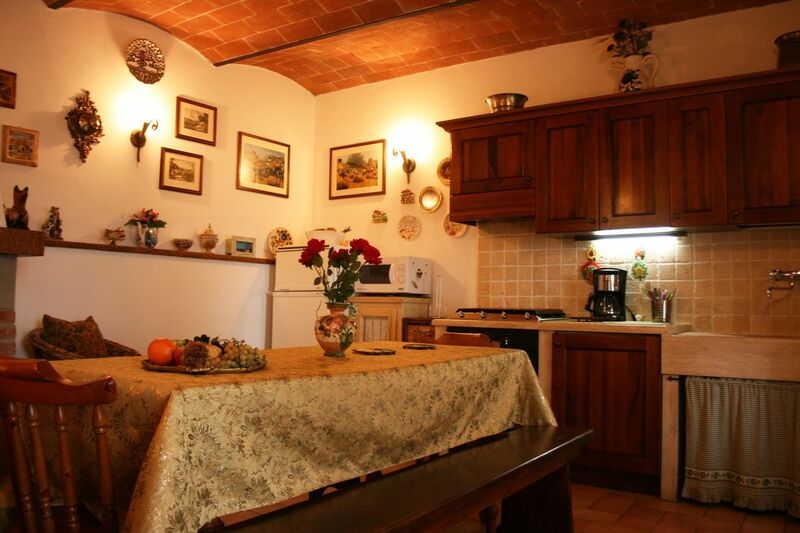 EQUIPMENT: Satellite TV, stereo and CD player, microwave, oven, freezer, dish-washer, washing machine, tumble dryer, toaster, filter coffee maker, kettle, food- mixer, Wi-Fi Internet access.